If you love to walk and are often looking for new places to go, or new ways to walk, you will absolutely love Zen walking meditation. And if you’re looking for a relaxing hobby. Well, it really doesn’t get any better than this. Let’s take a look at Zen walking meditation technique and the many physical and mental health benefits that it offers. Or, if you’re new to Zen, get started with my introductory guide to Zen meditation. Why Do Zen Walking Meditation? Zen walking is one of the most popular forms of meditative-movements. There’s something distinctly cathartic about walking, isn’t there? You put your runners, boots, or sandals on and head out the door, and you immediately feel a lift in your chest, an expansion, a freedom. Reduced risk of cancer: Research by the American Cancer Society shows that women who walk for seven hours or more a week are 14% less likely to contract breast cancer. Less illness: Research shows that men and women who walk for 20 minutes a day, 5 times a week, have 46% less sick days per year. Plus, we all know that a long walk through a beautiful countryside is one of the purest of joys. Personally I love to walk the escarpment by our house down to the lake and take a stroll around there. It’s a wonderful little journey. Zen walking takes your regular old stroll and turns it into a powerful Buddhist meditation technique. The traditional long walk is immensely relaxing. But what’s even better, even more liberating, is a Zen walk. When you Zen walk, you focus your mind on the act of walking. This completely silences your thoughts, opens your mind, and makes you feel a tremendous sense of liberation which can only be described as freedom.Zen walking meditation offers most of the benefits of traditional meditation combined with the benefits of walking, and a lot more besides. By practicing Zen walking meditation you become more conscious of our bodies and more conscious of movement. You may have heard of the term Body mind. When practicing Zen walking we increase our body mind connection and we become more conscious of what we are doing with our bodies. This helps eliminate unconscious movements, which are the cause of bad hygiene, and promotes mindfulness of body. Because of this, it improves mental and physical hygiene. Zen walking is also one of the very best meditations for high blood pressure. Walking is actually used in many different religions and spiritualities. Different spiritualities have their own different names for their walking practices. In Zen the term used is “Kinhin”. Kinhin is the walking meditation that Zen monks practice in between periods of sitting. It is popular in Zen, Chan Buddhism, Korean Seon and Vietnamese Thien. Traditionally Zen monks would walk clockwise around the room while holding their hands in a specific position. The position has one hand closed into a fist while the other hand grasps the fist. This hand position (or “mudra”) is called Shashu. With their hands in Shashu position, Zen monks would walk slowly around the room, consciously focusing on the movement in their legs (similar to how you focus on your body when you do a body scan meditation). In a nutshell, Zen walking is about walking while practicing mindfulness. Find a path of approximately 40 foot in length. If you have a garden, start by reading your supplementary guide to creating a Zen garden. This will help you to create a Zen space for meditation in your garden, which you can then use for Zen walking and other meditations. Place your hands in Shashu position. Make a fist with one hand. Now lightly grasp that fist with the other hand. This is the Shashu mudra, which is one of the Buddhist mudras. Begin to walk up and down the path. While walking, meditate on the sensation of movement in your feet and legs. Also be aware of how your mind instructs your body to move. If you look closely you will feel the connection between intent and action. Meditate on that connection. Take some time to also meditate on your surroundings. Smell the air, enjoy the colours of your garden or walking space, use your senses to explore the environment. Practice mindfulness while you walk. Find an easy pace, neither too fast nor too slow. It is important to walk at the pace that you most feel the mind / body connection. Sometimes (when stressed, for instance) this pace will be fast. Other times it may be slow. Generally the longer you spend Zen walking the slower your walk will become. Focus your attention on your body and the sensations in your body. Allow your attention to enter your feet and lower legs. Feel the movement of each step and the way it feels in your feet. Feel the each movement in taking a step. Be aware of the raising of the foot, the leg swinging, the foot returning to ground and then the other foot taking over. If you find it helpful, count each step. This can help you to stay in the present moment. Once you’ve tried walking, you might like to try these other movement meditations too. I tend to receive a lot of questions on the Facebook and Twitter pages regarding Zen walking meditation. So, to help you out I’ve created the following Frequently Asked Questions segment. How long do you need to practice to see benefit? The more you practice the more benefit you will see. But of course, time is limited. You don’t want your meditation practice to interfere with other activities you have going on in the day because then you will feel compelled to rush once you finish your walk (which is, of course, counterproductive). Personally, I find twenty minutes to be a good length of time, but anywhere between ten minutes and an hour is fine. Should you increase the speed of walking while you practice? You’ll naturally find a good speed as you practice. It’s best not to think about how fast you are walking, but rather to focus on the meditation itself. As you relax you will likely slow down more, simply because you are more aware of the process of walking itself. Where are some good places to Zen walk? Aim for places free of distractions. Nearby parks and footpaths can be good. Provided you will have the peace to genuinely get into the meditation, anywhere is usually fine. Naturally, it goes without saying, that roads should be avoided. One of the questions I get asked the most as a teacher is “How do you find the time to meditate?” Many people live very busy lives. Finding time is not easy. Thankfully it is possible to incorporate meditation into your everyday life without losing too much time. Zen Walking is an exercise which you can practice without losing time. Though Zen Walking Meditation is usually practiced in a meditation garden, it doesn’t have to be. If you are on your way to work and know a safe route away from roads, you can leave ten to twenty minutes early and practice Zen Walking Meditation on the way to work. The same applies for all other times when you are travelling. Simply leave a little early and take a safe route (avoid roads!). Another great exercise is to go for a Zen Walking Meditation with the family or with friends. You’re probably used to chatting away with family and friends, but spending some quiet time together and going for a walk is another great way of bonding. You’ll find that you feel much closer to friends and family after a walk together. Zen doesn’t have to take up much time. Monks may meditate for hours everyday, but that doesn’t mean you have to. 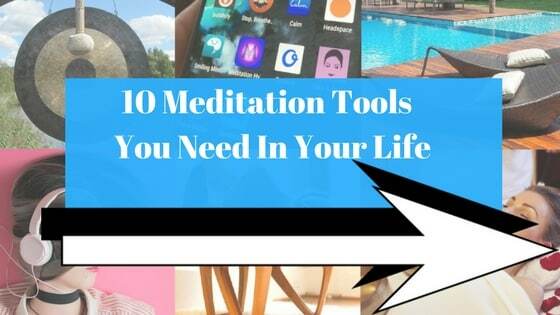 Simply look for some ways to incorporate meditation into your everyday life. Trust me, no matter your lifestyle you can find time for meditation. If you don’t think so, please read my new book: Zen And Now, it will show you precisely how to meditate wherever you are, whatever you’re doing. How can I be more Zen? 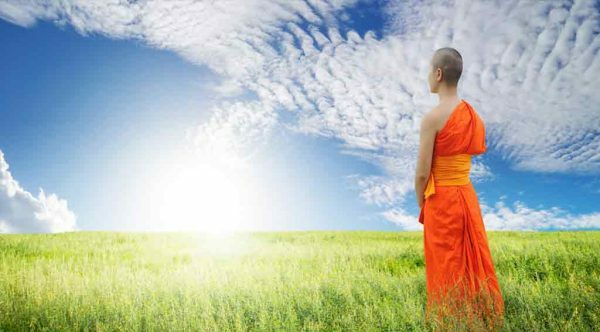 Take a look at these Zen sayings and proverbs for inspiration.